Story and photos by Mary Jane Farmer To download better resolution of or additional photos, click on this link, choose your photo, and download it using the bottom arrow. Or just PM or email me with your email address and I’ll send it to you — MaryJane@SceneInTown.com — No charge whatsoever. And OK, I’m not really good at aligning these photos up on WordPress. Help? With the addition of a 10th musician to Sunday’s line-up, the singer/songwriters in Round 1 Week 2 of the 2019 Rusty Wier contest played in groups of 3, 3, and 4. In this prestigious contest this week were James Lann, Harley Dale Brown, Dave Thomas, Troy James, Rio King, Ray White, Byron Dowd, Shelby Ballenger, Mitchell Ferguson, and Brian Worth. Actually, Ferguson was there to make up for having had to miss Round 1 Week 1 because of illness. Hosted by Love & War in Texas and coordinated by KHYI’s on-air personality Brett Dillon, the contest began with about 50 people trying out, performing live in November and December; those got narrowed down to the remaining 24 singer/songwriters. And sound is run by David Byboth, Spygoat Music. All the musicians have to do is suit up and show up and step onto the stage. who played last Sunday and those who will be there this coming Sunday. It’s the total scores of all 24, now 25, people involved that will be the deciding factor in who will move into the next round. And they are all vying to win, among other prizes, an EP-size recording with Dustin Hendricks’ WarRoom Recording Studio and a feature article in Buddy Magazine. These are all full-fledged concerts, no amateurs heard in the contest yet, and don’t expect any in the upcoming session, when Kevin Edwards, Parker Twomey, Stacey Shope, Town Walsh, Jared Thomas, Saille Branch, Bryan Adam Joyner, and Nick Flint take the stage. The shows are free and start at 4 p.m. each Sunday. 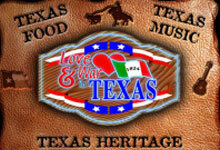 And Love & War in Texas has a great menu, reasonable prices, and quality food. 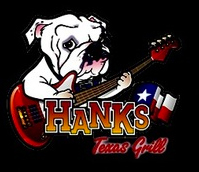 It is at the NE corner of U.S. 75 and Plano Parkway in Plano.